Rubber Room Ramblings: FREAKY FUN FOLDS! 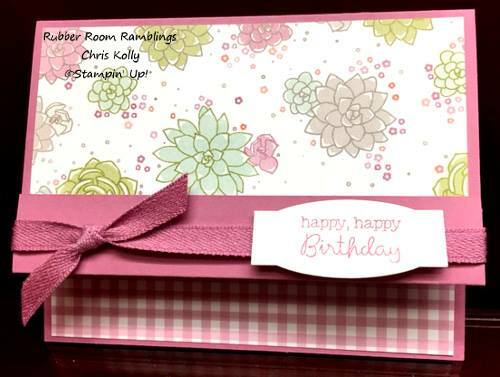 These are a couple of the cards we made in the Rubber Room last Saturday at the Freaky Fun Folds class. This card uses the Avant Garden FREE Sale-a-Bration Stamp Set and the Cupcakes and Carousels Designer Series Paper. The bottom of the card opens up to reveal an awesome greeting. My very talented team member and friend, Beth Kozik, shared this card with us at Demo Diva night this month, and I loved it so much I had to include it in my class. 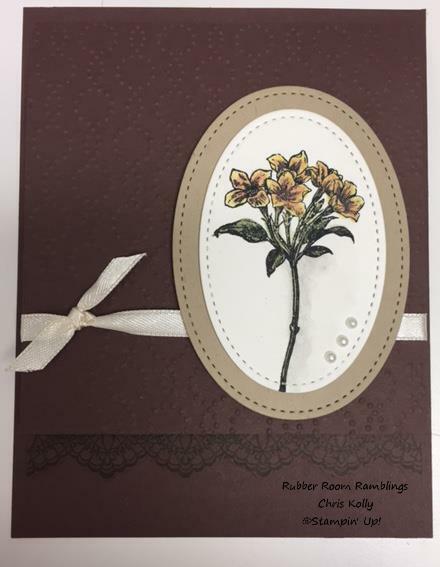 This card also uses the Avant Garden FREE Sale-a-Bration Stamp Set and the Delicate Details FREE Sale-a-Bration Stamp Set. This card is on a Chocolate Chip card base and the top opens up. 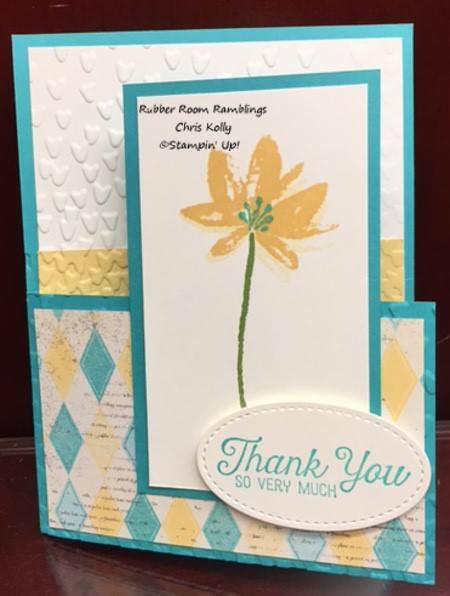 This little beauty is made with the Succulent Garden Designers Series Paper and the coordinating Succulent Garden 3/8" Ribbon Combo Pack. 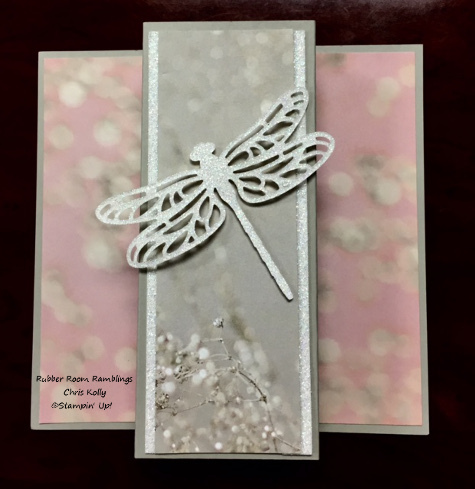 I love all of these cards and these creative new fold ideas, and I want to give you the tutorials to make all four of these wonderful cards. Call or text me: 248-909-8016 and I will be happy to help you place an order. TIME TO SAVE THE DATE!